Popular consumer solutions have raised expectations for the technology experience. Users want easy, comprehensive and almost-instant gratification from the technology tools they use. Why would your advisors’ and investors’ and even your own expectations be different? At Pershing, we help our clients deliver wealth management experiences that compare favorably to the technology solutions used in the marketplace today. Selecting a financial partner shouldn’t lock you into one technology strategy. Our technology is flexible so your firm may create and consume technology according to how it operates now and in the future. We use our deep industry experience to provide you with guidance, regardless of if you select our turnkey solution or other integration pathways—including third-party solutions. With our new Integrated Wealth Experience, you can offer advisors and investors the holistic support they deserve—and want! Transform the digital experience you offer through solutions that foster dynamic relationships and streamline activities between advisors and investors. We do this by making integration easier—allowing data to be more accessible—and by providing the technology behind the scenes to tie it all together. Through Pershing’s Integrated Wealth Experience, we will help advisors provide greater value to investors. 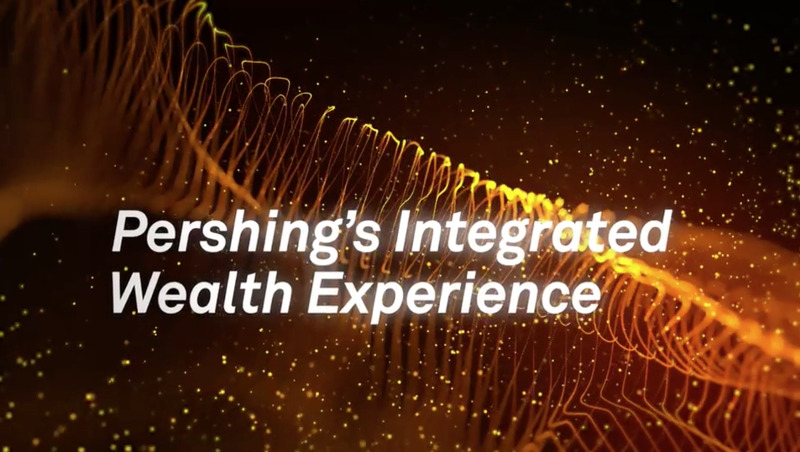 Pershing’s Integrated Wealth Experience supports advisors across the entire value chain—from client prospecting to onboarding, from wealth planning to trade order management, from performance analysis to ongoing servicing. Who's Helping You Grow Your Retirement Business? Thousands of investment choices to meet diverse investor demands, plus a full lineup of resources to help advisors grow their retirement business. Leverage a single source of consistent and reliable information.